socio-political organisation with membership stretching through the length and breadth of Ahoada-East and Ahoada-West LGAs of Rivers State. Convinced of the eloquent achievements of Governor Chibuike Amaechi-his doggedness to protect the sanctity of Rivers people, his relentless battle to rescue the state from the jaws of intruders who are bent on exploiting our natural resources and abandon us and make us economically defenceless; the group is out to straighten the records and put facts to bare for the unsuspecting public to know the antics of those who are out to paint the Governor black inspite of his heroic achievements. In this case, High Chief James Ezebalike,an illustrious son of Ekpeyeland and a beneficiary of the Governor’s benevolence through the award of the Edeoha-Ihuowo-Idoke road project worth over N450 million said Governor Amaechi has not done well. 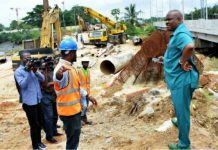 In this interview, Amaechi’s Teeming Supporters in Ekpeyeland have outlined several projects that have positive bearing on the people, executed and delivered by the Governor. I am Hon Napoleon Ukalikpe, the PRO of Amaechi’s Teeming Supporters in Ekpeye Kingdom. I was one-time Chairman of Ahoada-East LGA and now the State Assistant Secretary of the APC. 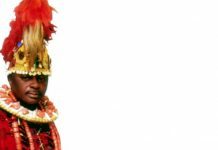 Who are Amaechi’s Teeming Supporters in Ekpeye Kingdom? The group is an NGO floated by the Ekpeye people to protect the shinning image of the Governor. You know that Rt. Hon Chibuike Amaechi is the Chairman of Nigeria Governors’ Forum. 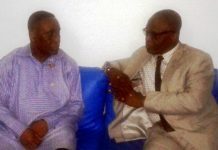 He was one-time Speaker of the Rivers State House of Assembly, where he rose to the amiable rank of Chairman, Forum of Speakers in Nigeria. 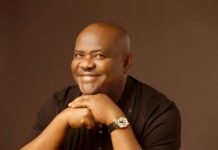 He has enviable record in governance and a towering profile that has attracted the envy of those who do not mean well for Rivers State. 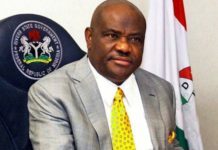 This man became governor not by human cleverness or intellectual calculations, but by fate-ordained to serve Rivers people at this time of our history. If you peruse the lines of the Poet Dresden, then you would know that “only when it is ripe does the fruit of fate fall”. And usually, once anything ideal and genuine arises, the Darkness will also put up a fierce struggle to blackmail and possibly to annihilate it. It may be likened to the battle the Darkness wages against the Light. And, you know the Light will always become victorious from all frontiers. 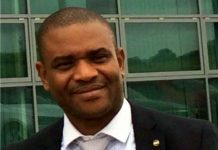 Since the era of Navy Commander Alfred Diete- Spiff (Now Amayanabo of Twon Brass) who then as military governor of Rivers State performed excellently, we wish to challenge successive administrators to show their stewardship for public scrutiny. Amaechi’s testimonial in governance is unsurpassable. Even the doubters and mischief makers know his performance. Is it the quality of schools, the high class hospitals and health centres that criss-cross the state, the volume of local and foreign scholarship programmes for our teeming youth, the high grade road projects, tourism, sports, name it. Rivers people should check their conscience and for once say ‘thank you’ to their son who has written his name on marble. The governor drew the ire of those who want to loot our treasures in Kalabariland, which he resisted, in response to his oath of office to protect our land and our people. Regrettably, few Kalabari sons are betraying this cause, hence, betraying their natural endowments for porridge of yam. One day, the ancestors would ask them pertinent questions, and when they look in retrospect, it would have been too late. Gov. Amaechi even re-constructed Federal roads such as the Port Harcourt-Omerelu-Owerri road, where he invested Rivers’ money, yet Abuja refused to refund. Now, that he has refused to look the way of the Eleme road, the area has become impassable with gullies at the centre, which has led to the strike by NUPENG. So, if other ethnic groups fail to recognize the need to show gratitude to one who lives his oath of office, the Ekpeye people will. High Chief J.S. Ezebalike in an interview said the APC is not on ground in Ahoada-East, so how can you deliver the programme of the APC there? Who is there in the PDP in Ahoada-East? The few card carrying members live in Abuja. They have lost the grassroots, where the voting takes place. They cannot deliver their villages at elections. Indeed, they registered in Abuja. It is an irrefutable fact that after the stolen mandate of the Chief G. U. Ake’s leadership of the then PDP by those who did not buy chairmanship forms, but who today still parade the streets shamelessly, the entire Rivers people became disillusioned about the party and the PDP crashed. The totalities of the Ogonis, Ijaw, Ikwerre, Orashi, Etche, indeed the entire Upland/Riverine will vote the APC to victory. The ripple effect shall affect the entire Niger Delta. The electorate are enjoying the dividends of democracy. They are happy with the APC and will enjoy more when we return in 2015. Tell me, which LGA does the PDP control? The PDP has been using the antics of mercenaries to misinform the hapless public that they are on ground. Where? Is it the GDI which somebody floated, but kept deceiving Rivers people that it was done to better President Jonathan’s chances in 2015? People were so disappointed that they moved into the APC enmass. Hence, the Units, the Wards are APC. This is the reason why all the councillors, LGA chairmen, the leadership of the erstwhile PDP at both the Wards and LGA levels naturally emptied into the APC. Even today, the CTC members are all APC. We know that the PDP is at cross-roads. Chief Ezebalike knows that the PDP cannot go beyond where it now crawls. The “house” is in tatters. Amaechi’s Teeming Supporters have repeatedly said that it is impracticable for the PDP in Ekpeyeland to produce any meaningful office in 2015. The governor will be APC, the electable offices will be APC. It is laughable to assert that the Orashi (Ahoada-East, Ahoada West, Abua/Odual/ Ogba/Egbema/Ndoni) will deliver 100% votes to the PDP, but, where will the votes be coming from? Indeed, statistics shows that the APC is even in-charge in his village. High Chief Ezebalike said zoning is not part of the PDP Constitution and that an Ikwerreman can succeed Amaechi. We are not in PDP, we are in APC, but I know that Chief Ezebalike may not have read the PDP Constitution otherwise, he wouldn’t speak the way he did. “Truth is incontrovertible, panic may resent it, ignorance may deride it, malice may distort it, but there it is” apologies to late Sir Winston Churchill. Rivers State is like a mini Nigeria, no matter how exemplary another Niger Delta man, may become, no matter how exceptional a man from Southern Nigeria, may become, once President Goodluck Jonathan finishes his tenure, the natural successor must come from the North. It was this divide that brought former Governor Peter Odili into office. It is ordained by nature, and no human cleverness can annul it. Can’t you hear the bickering in the PDP, because of this attempt to pull down the facts of this divide? They are suspending, expelling and blackmailing the few members they have, even humiliating and brutally attempting to silence any voice that speaks the truth. Falsehood is a product of evil and shall crumble before the truth, which is light. It finally pales into insignificance. The APC stands in the ambits of truth and will sustain and allow it germinate like the biblical mustard seed. Zoning is part of democracy. We must accept the fact that no individual or group commands a monopoly of the right to leadership and followership. Looking at it from the inner-eyes of justice and fair play, another Ikwerre governor in 2015 underpins injustice. We know the natural justice of geography and language as sacrosanct. How then can we maintain this gospel of unity, peace and justice if other ethnic groups are criminally maginalised by another. The founding fathers of Rivers state and the subsequent managers of our political space evolved methods of maintaining balanced equity in the polity by rotating major political offices among the geo-political blocks of Rivers State as fait accompli. That was why prominent Kalabari political leaders spearheaded the election of Dr. Peter Odili an Upland man of Orashi descent as governor in 1999 against their son-Chief Ebenezer Isokriari. Dr. Odili at the time insisted on an Ikwerre man as his successor to keep faith with the equity principle of zoning of offices. It will amount to dis-equilibrium to subvert this age-long tradition. We are already witnessing the prelude of theatre of war. Imagine the show of shame at the reconciliation committee of the PDP in Abuja last Thursday where PDP chieftains exchanged blows and where thugs loyal to one aspirant who wants to subvert zoning and equity manhandled prominent Rivers sons with matchetes and guns. Even the Blue print from the just concluded National confab endorsed zoning. Chief Ezebalike also alleged that Gov. Amaechi has not done well, both for the Orashi people and Rivers people. This is a clear case of the kettle calling the pot black. Gov. 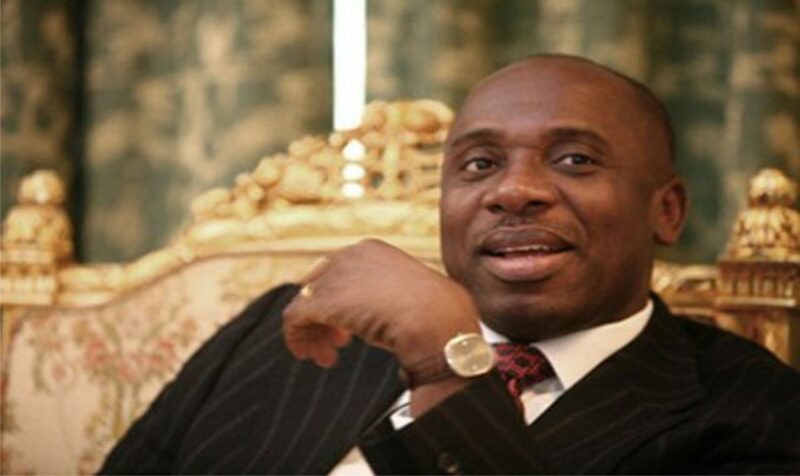 Amaechi awarded the Edeoha-Ihuowo-Idoke road contract to Chief Ezebalike for N450 million. Please go and inspect the project. It is unfair for anyone to join traducers without conviction. I have already highlighted some landmark achievements of the Governor. The governor has received several notable awards for his steadfastness in putting Rivers State on the marble of development. Schools, health centres and major projects were built by Amaechi in the Orashi axis, and recently his doggedness and zest conquered the Ebola virus here. Respect for the Judiciary and Human rights has been majorly abused by the PDP. The constitution gives power to a state governor to nominate the Chief Judge while the President nominates the Chief Justice of the Federation. Governor Amaechi exercised his constitutional role to the appointment only for a ‘cabal’ to say no. This is the crux of the matter. We the Amaechi’s Teeming Supporters know the truth in the facts and we stand by him. He remains governor until the tenure expires in 2015. 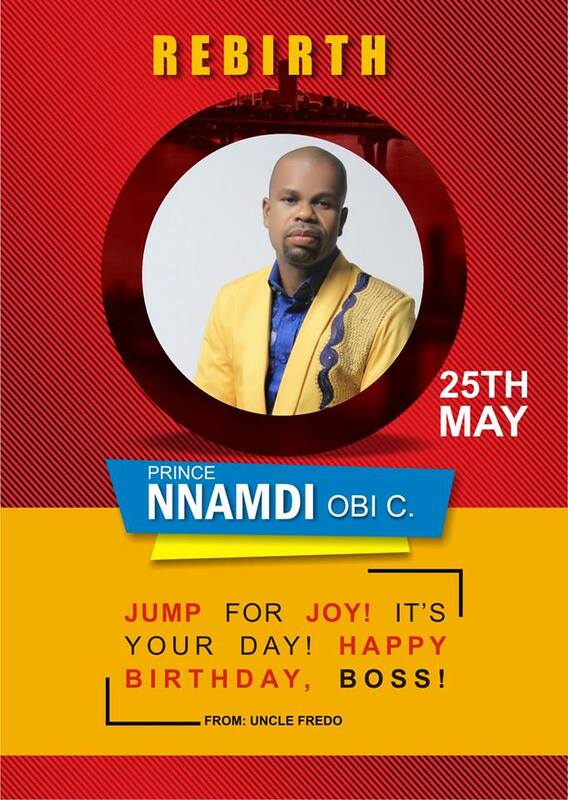 Can this infantile rascality be tolerated in any state in Nigeria? How prepared is your group for the elections? The first part in the preparation is the registration to vote. We have mobilized and still mobilizing Ekpeye people to register, those who just attained 18 years should register. Your vote is your power, this is our conviction, though those in the opposition feel that “thuggery and hijacking of ballot boxes is the power”. We shall meet in ‘Philippi’.